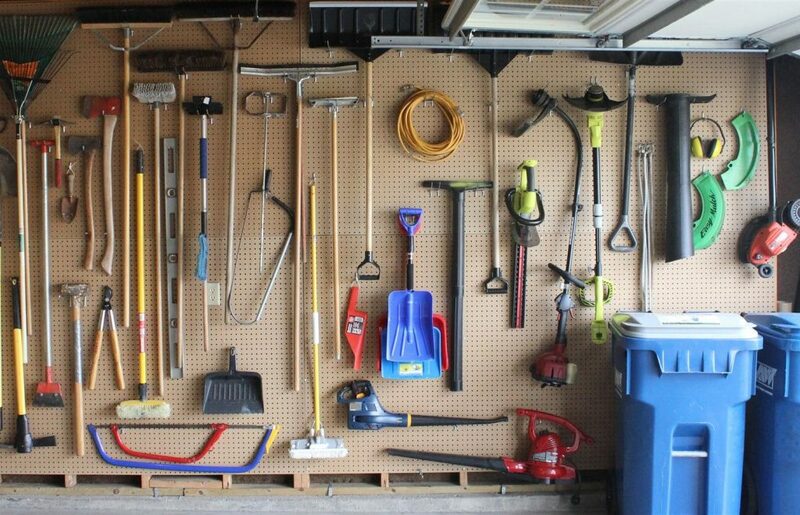 It doesn’t matter if it’s the season for leaf-raking, snow-shoveling or landscaping. 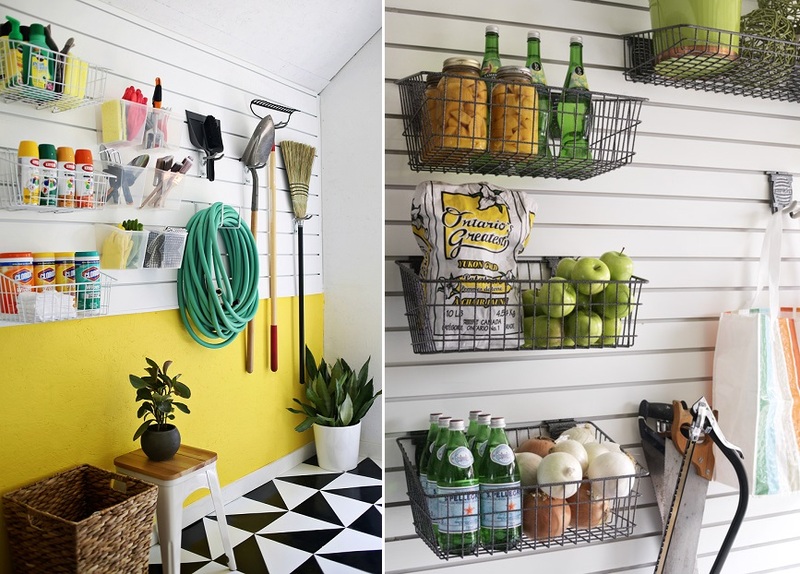 An orderly garage should be a year-round life goal. 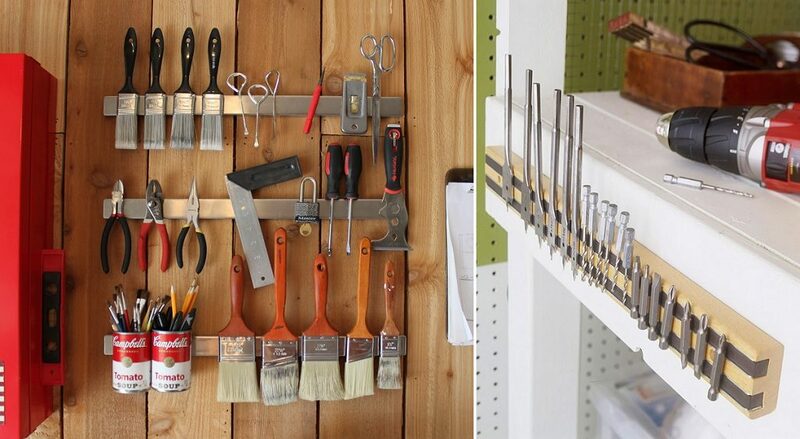 Put up pegboards and hang every piece of equipment and tool you own. 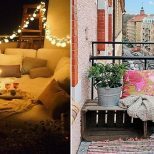 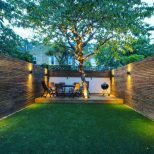 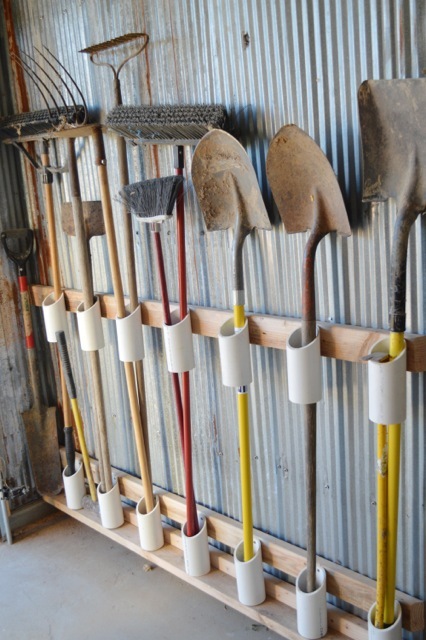 You could also use PVC piping. 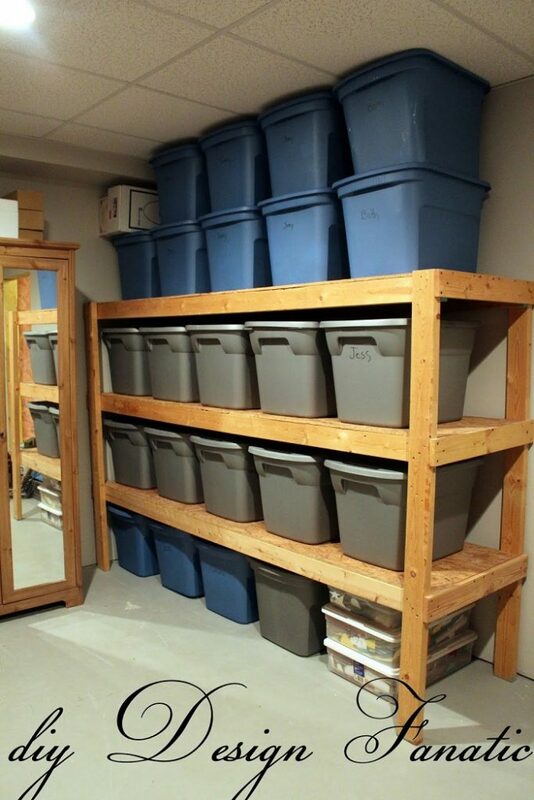 That will work for smaller storage solutions too. 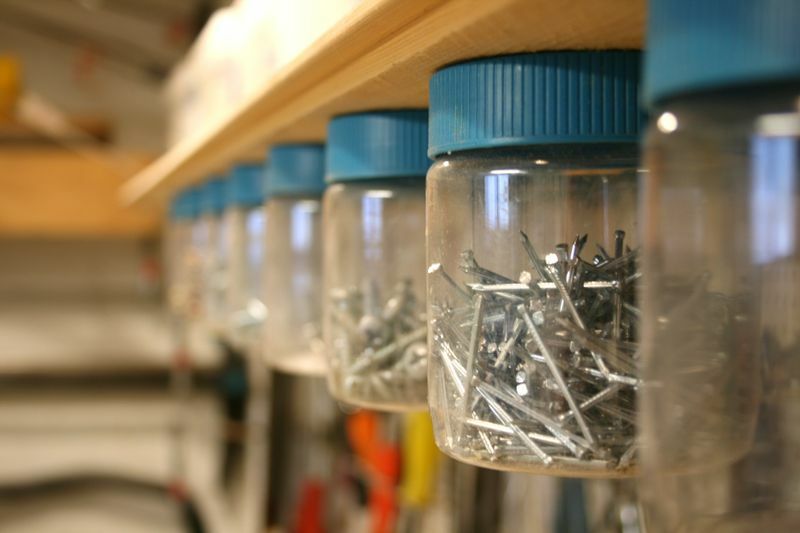 Keep loose screws, nails and drill bits together with a piece foam insulation. 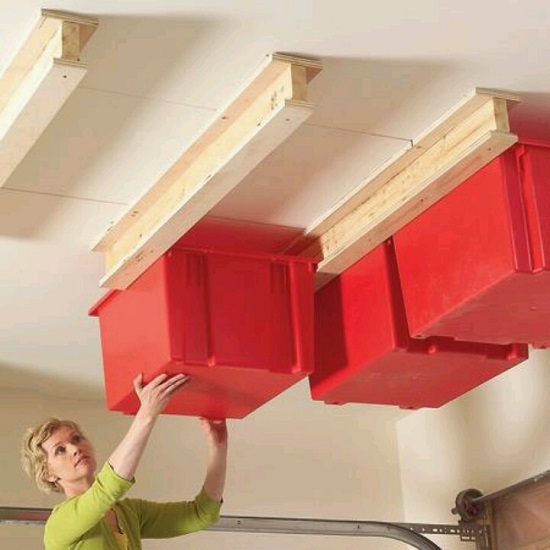 Or nail storage jars to the underside of a shelf. 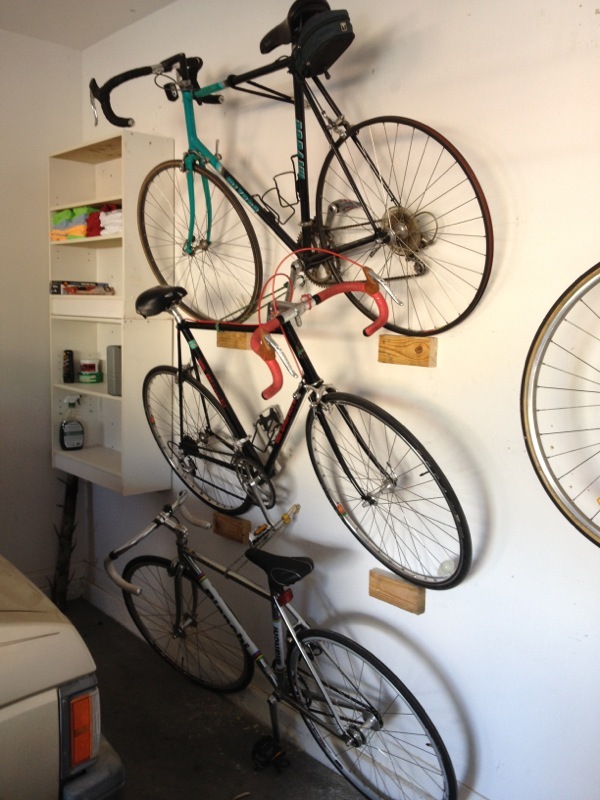 Or if you have the floor space, a simple shelving unit will do. 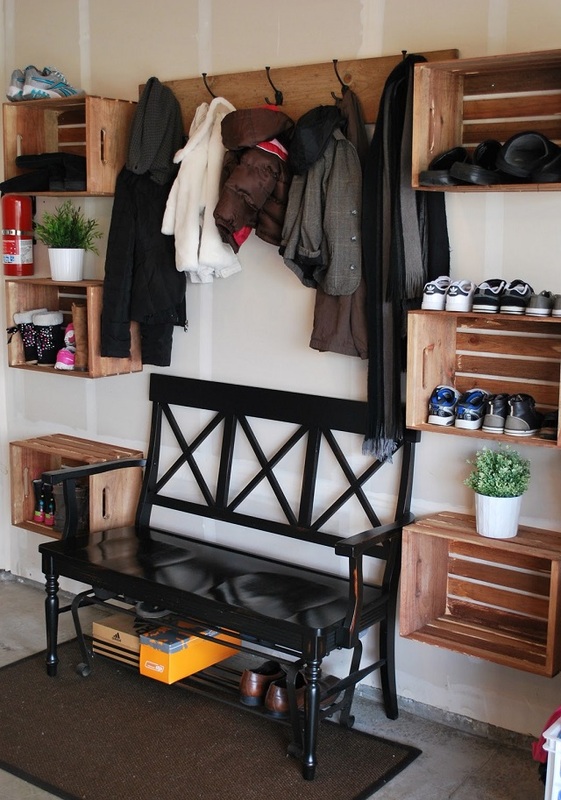 Up-cycle crates as wall storage. 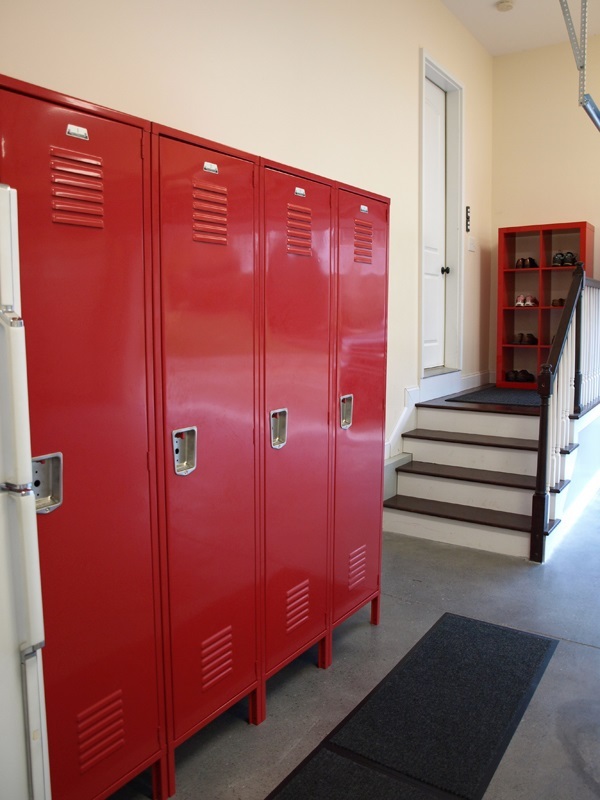 Hallway lockers = garage storage lockers. 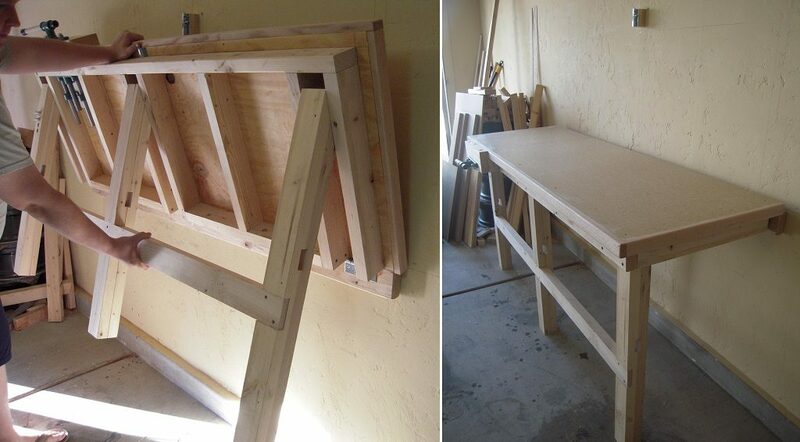 Build a space-saving fold down workbench. 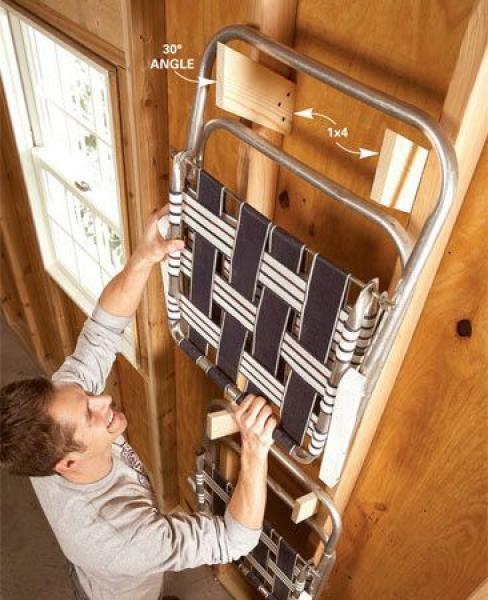 This guy will show you how to do it. 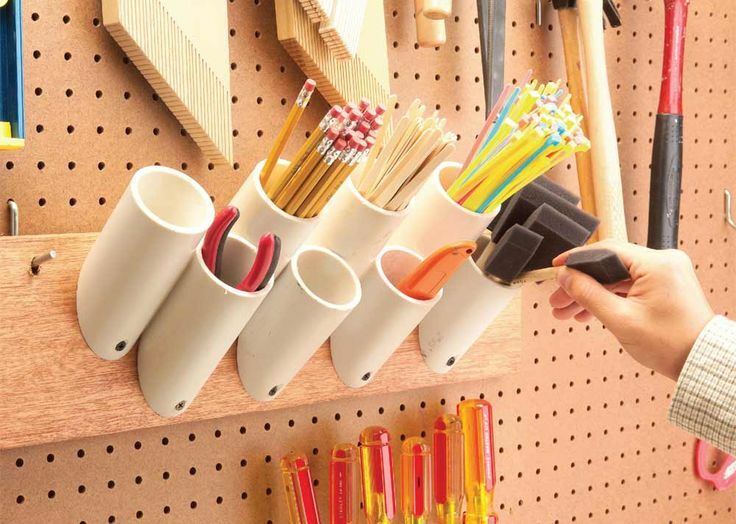 Or if your tools are just for show, buy one. 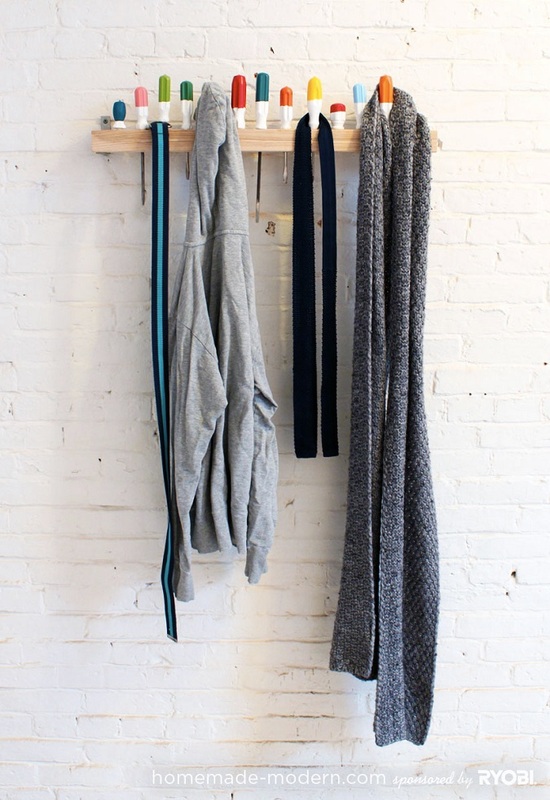 Or hang them from the ceiling. 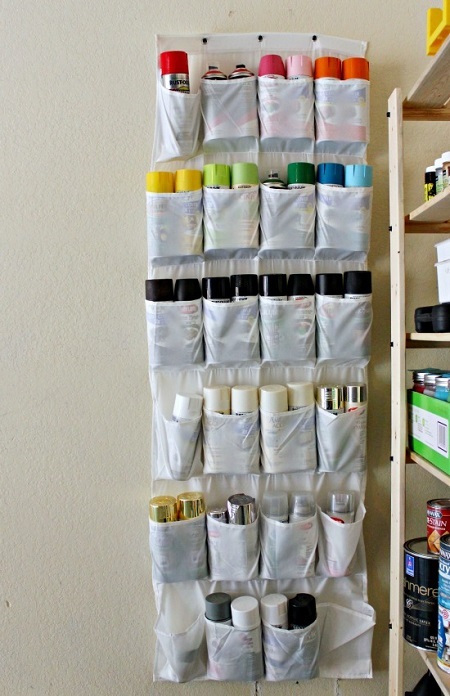 Use a shoe organize to keep your paints in order. 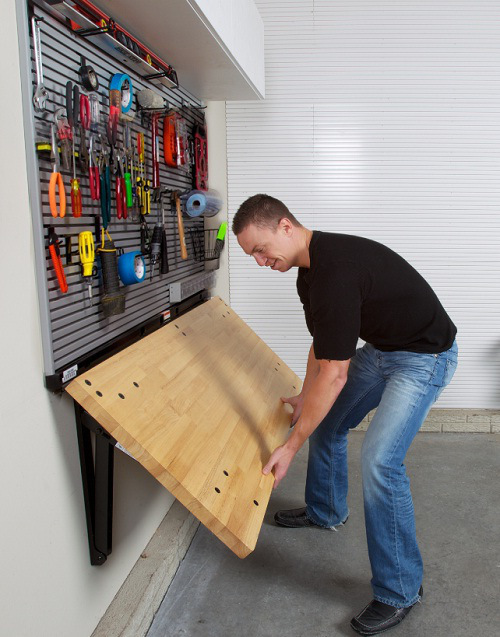 Magnetic strips will keep your metal tools and tool accessories easily accessible. 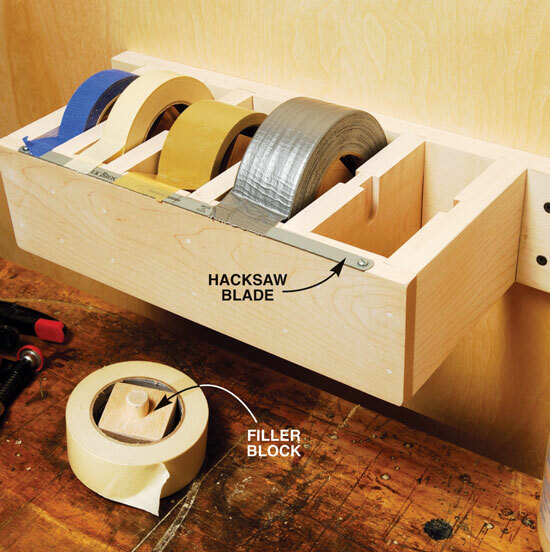 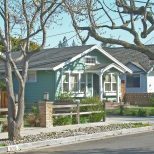 Is tape your go-to fix? 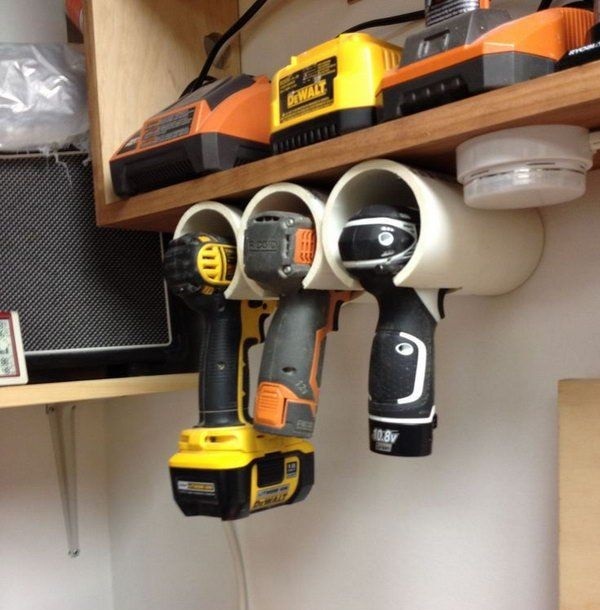 Build an industrial dispenser. 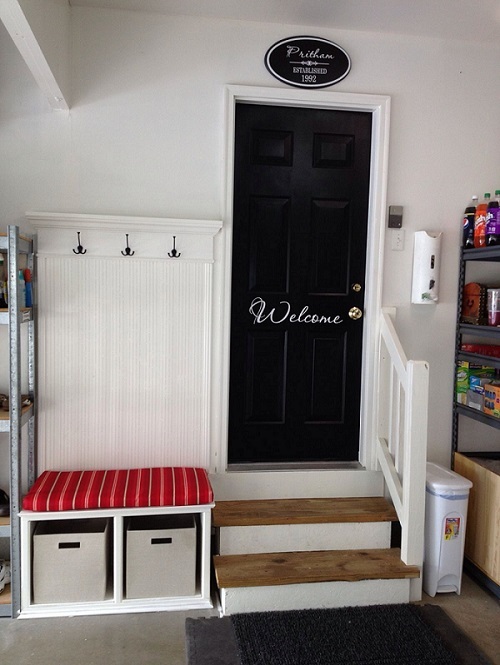 Put up some hooks, get a bench, lay down a carpet and bring the mudroom into the garage. Use a slat wall to hang storage racks and bins. 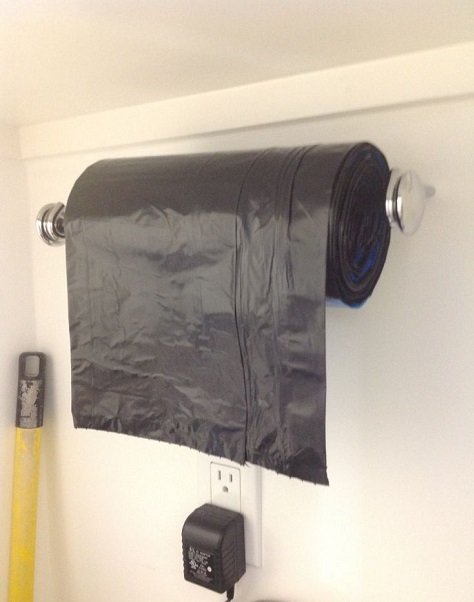 Keep your garbage bags on a paper towel roll. 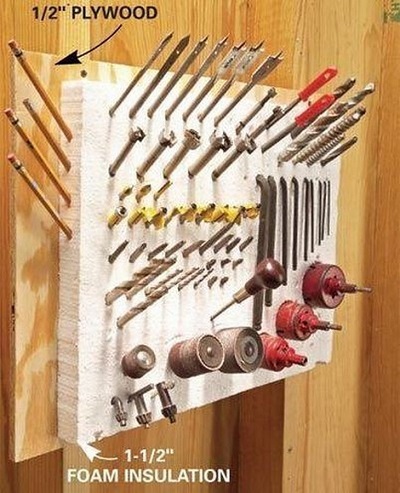 Build yourself a screwdriver rack that doubles as a coat rack. 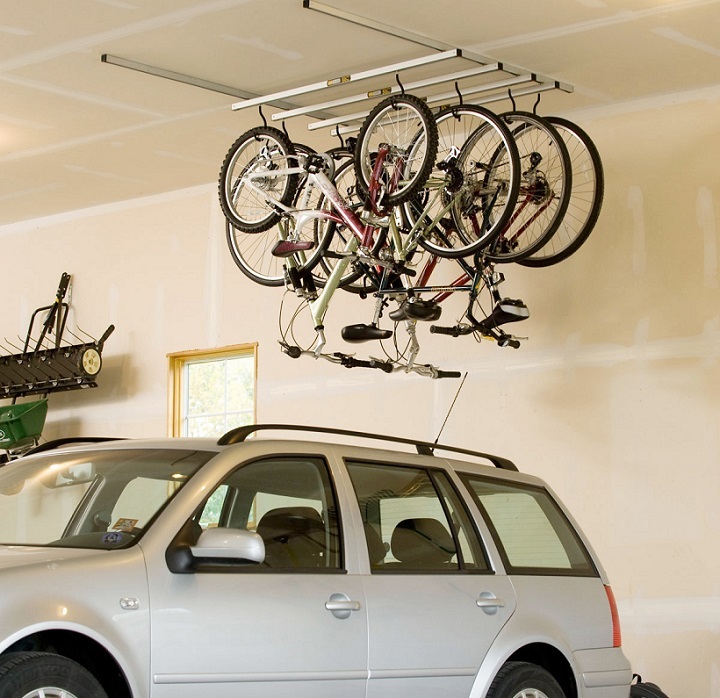 Secure your game balls with bungee cords. 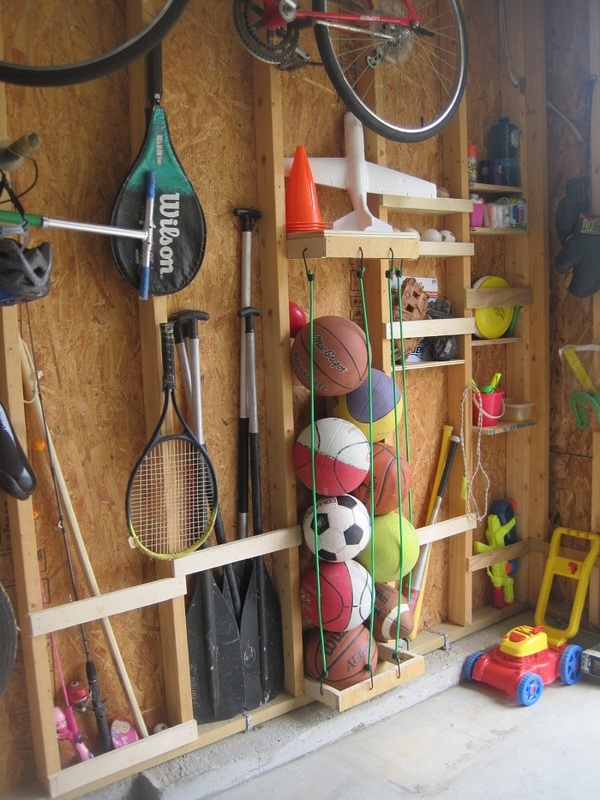 Then use a pallet to keep together the rest of your sports equipment. 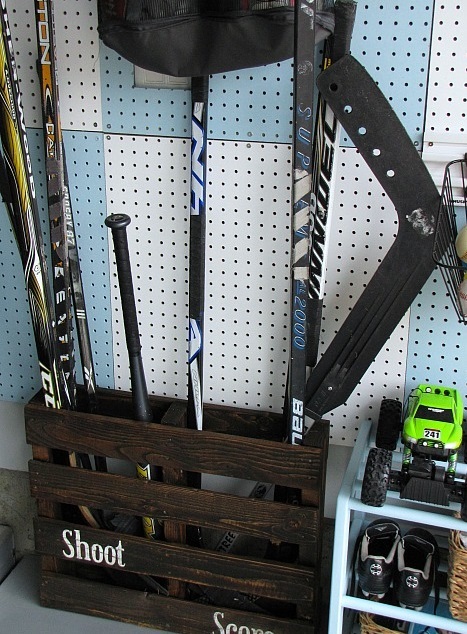 And finally, a couple pieces of scrap wood is all you need to keep your lawn chairs out of the way during the cooler months.